Candles add light and a warm ambiance to any room in your home, but they can leave a mess behind that's hard to clean up. 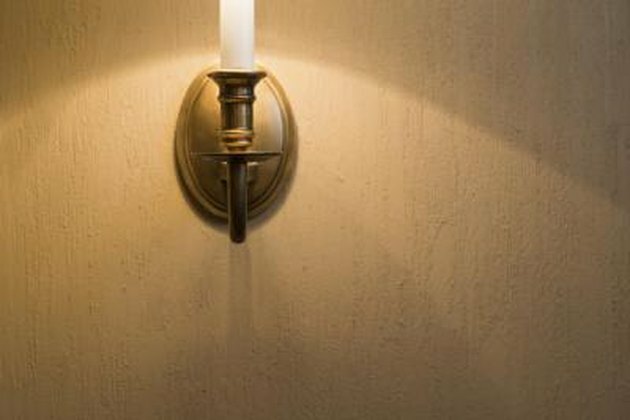 It is possible to remove spilled, dripped or hardened candle wax off your painted walls without damaging the surface or removing paint. 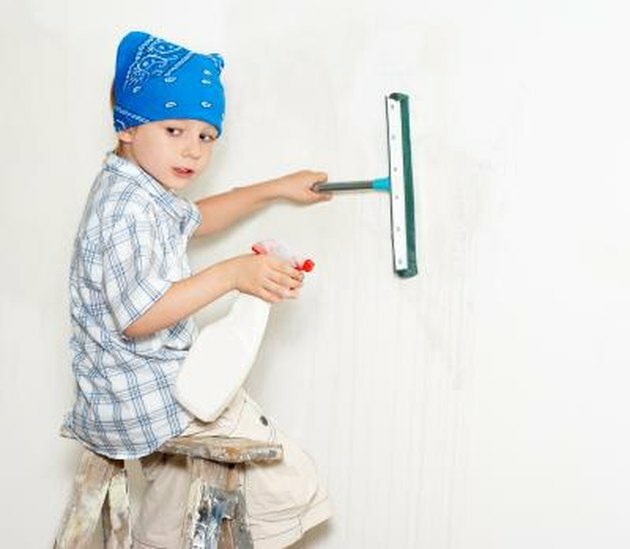 You can find most of the needed supplies in your home or at the local grocery store to restore your painted walls to an unstained condition. 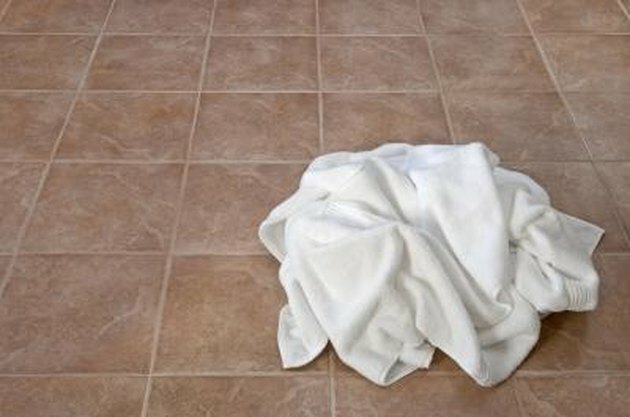 Hold or tape a rolled towel to the wall directly beneath the wax stain to help catch the wax as it softens. 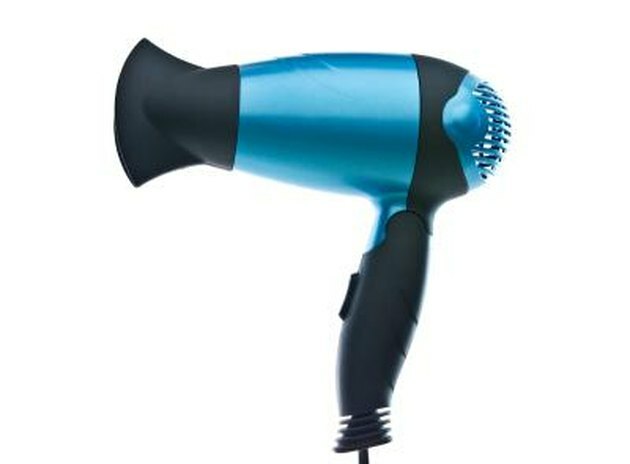 Direct your hair dryer at the dried wax on your painted wall. Keep the setting on low or medium. 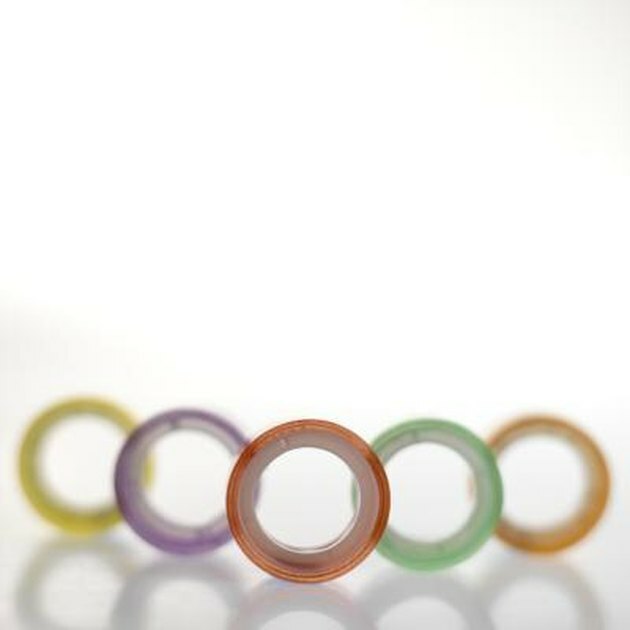 Avoid using the high setting as this will cause the wax to splatter when it liquefies. Heat the wax until it melts completely. Using an old towel is ideal to remove wax. Wipe the melted wax with clean towels. 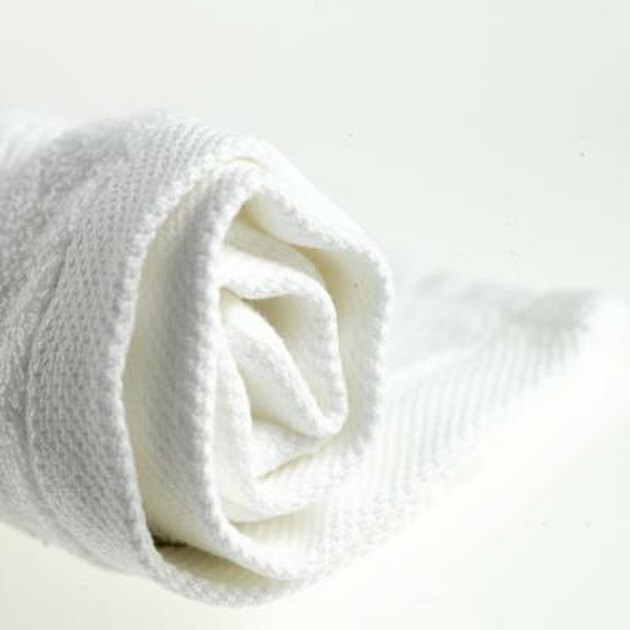 Fold your towel over to a clean spot to avoid spreading the wax around. Repeat this process until all that's left is a waxy residue or shine. Be careful when you remove the towel taped to the wall; soak up any extra wax so it doesn't drip when you remove the towel. Young boy washing a wall. Buff the wall where the wax was with a used dryer sheet to lift any waxy residue remaining. 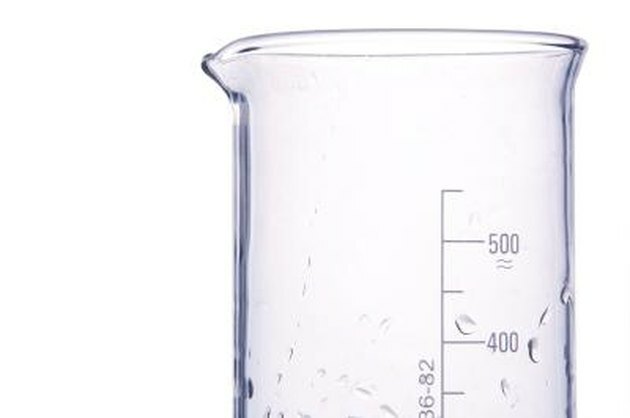 Volumetric glass to mix water and vinegar. 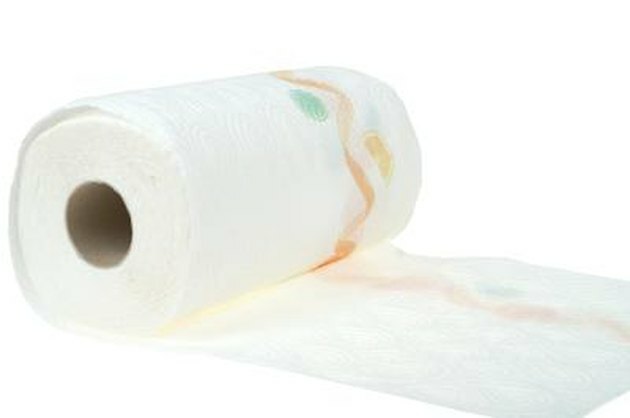 Fold a paper towel to a size big enough to cover the stained area if the wax has left a stain on your wall. Mix 1/4 cup of white vinegar with 1/2 cup of water in a bowl. Pour enough diluted vinegar solution onto your paper towel to make it wet but not dripping. Apply the vinegar solution-soaked paper towel over the stain. Place a layer of plastic wrap on top of it, and tape down the edges with painter's masking tape, which will not lift off the paint on the wall like normal masking tape will. Leave it in place for about an hour or two, depending upon the severity of the stain. Lift the corner of the paper towel and plastic wrap after one hour to check progress. Remove the plastic wrap and paper towel, and wipe the area with a clean towel and warm water. Dry with another clean towel.